If you are a fan of shooting, you might have heard about RMR Type 1. 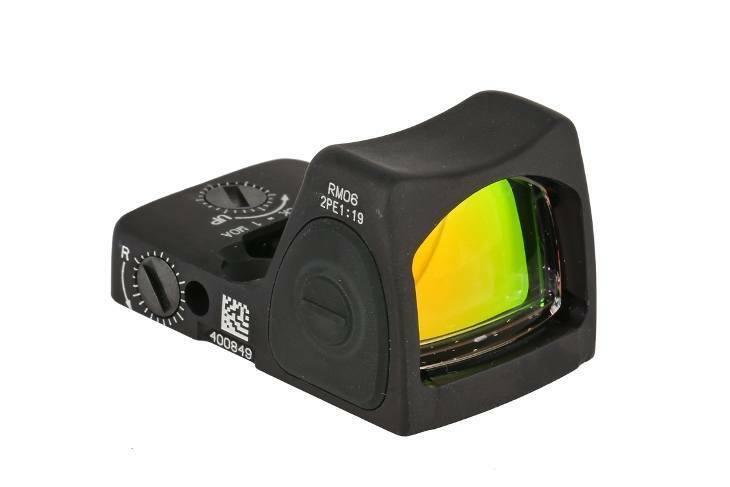 When being released, this line of optics changed the whole game for the world of pistols. However, Trijicon - RMR Type 1’s manufacturer is still ambitious for the next higher success by updating it into RMR Type 2. This new version is promised to work better than the first one. Although RMR type 1 is discontinued in the market, a lot of people still want to sell it at a half price for you and then buy a new type 2. For budget shooters, this is a great chance to grab an optic at a reasonable price. So, that’s why we decided to write this short article to provide you with information about RMR Type 1 and Type 2. Let’s see if it’s worth owing RMR type 1 or not. 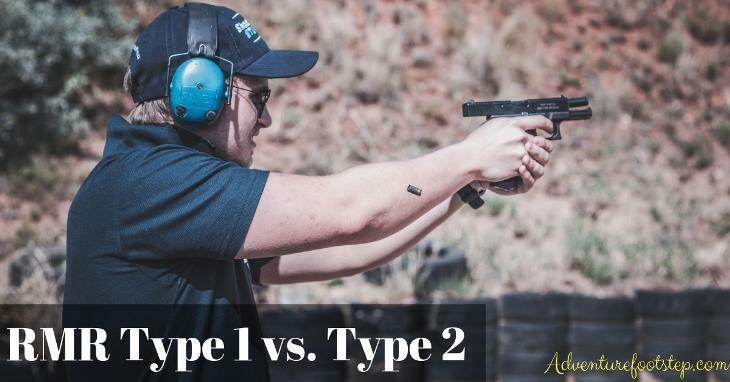 RMR Type 1 and Type 2: Which one is Better? First of all, let’s talk about what we DON’T like. When we bought this one, we were so excited as it was supposed to be one of the best optics in the market. However, as long as we tested it for the first time, we realized it was not as perfect as we expected. The problem was the red dot flickering on the RMR type 1. 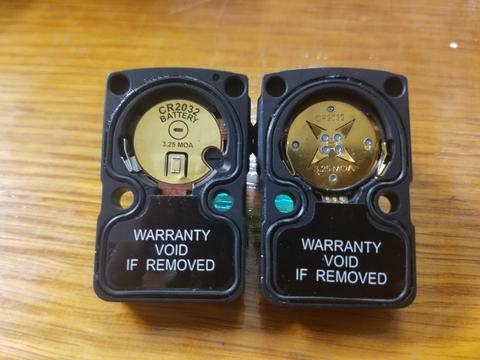 The manufacturer explained this was because of the poor connection between the optic and the battery. Luckily, users could solve this issue by adding some pressure on the battery. Each shooter has different ways to fix the connection. For us, we bought Battle Werx Anti Flicker Plate. It can control the flickered dot well. Spending a few extra dollars, but it’s worth the money. It is because of the easy installation and set up. It could be frustrated with other brands, but with RMR type 1, anyone can enjoy it. Next, it is amazingly lightweight. The red dot will not disappoint you on picking up in the draw. The more you spend time with it, the more you will love it. RMR Type 2 is promised to be a better version of RMR type 1. Let’s see if it is true or not. For the specifications, it is the same as the original one. However, Trijicon added more options for this comeback. Remember the “Flickered Dot” in the previous version? Yes, I bet you are. When we got the RMR type 2, this was the first thing we checked. Fortunately, they solved this problem perfectly. No flickering dot anymore! Besides, Trijicon made this optic more fabulous by making its famous red dot tougher. They also harden the windage and elevation dials as well as increase the resistance. Therefore, it avoids your setting to be drifted when you recoil the rifle. In RMR type 1, the only way to adjust the brightness is to buy an LED model, adjustable LED, or a dual-illuminated version. It costs money, right? Luckily, Trijicon knew it (We love you!). They provide you with several options to adjust the brightness based on your conditions. How cool! Cannot forget to mention the outstanding feature of RMR type 2: Button Lock Out Mode. The manufacturer created this one to save battery life in the long term. Now, it is time to make a comparison between these two. The above sections have shown you specifications and features of RMR Type 1 and Type 2. In our experience, type 2 is fabulous. It fixed all the issues of Type 1. The red dot is the most special features. It is sensitive to any single movements. Plus, Trijicon made the dot clear enough so that your eyes can catch it up quickly in any environment. Another thing we love about this new version is the curved top. It serves well by gripping the optic when reloading one hand. Also, it helps frame the target. However, Type 1 is not a disaster. Remember that it was popular before the launching of Type 2. Type 1 is flexible, lightweight, easy to use and set up. And especially, it is CHEAP. As the original version - RMR type 1 is not produced anymore, you can still own the used one on a budget. Read more information on best red dot sights for Ak47 by click here! “You have what you pay for” - This quote is always true when you buy any products. RMR Type 2 is a better-updated version of RMR type 1. However, RMR type 1 is not too bad. Consider your purpose to grab a suitable one for you. What do you think about these two? Let us know. We are looking forward to hearing about your experience.